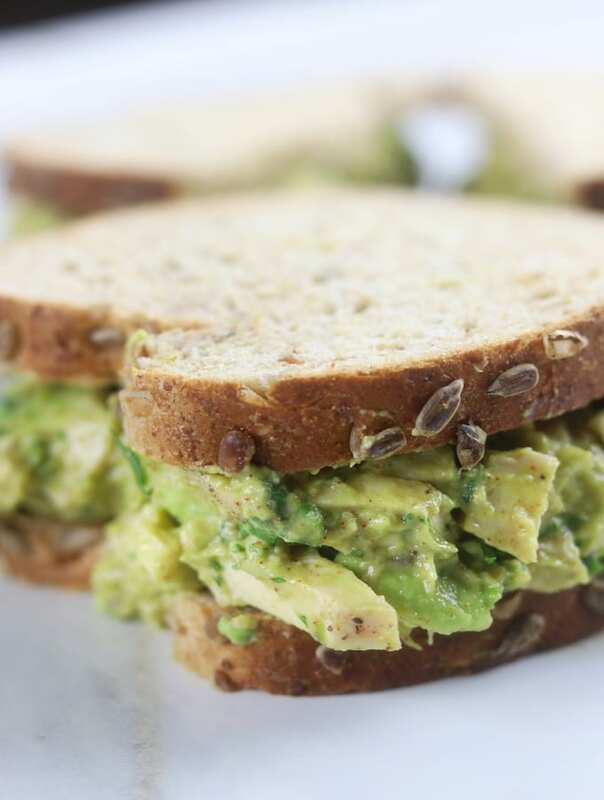 Clean eating just became so much more fun with this Mexican Chicken Avocado Sandwich. It is like having the best of two worlds, guacamole and a chicken salad sandwich. 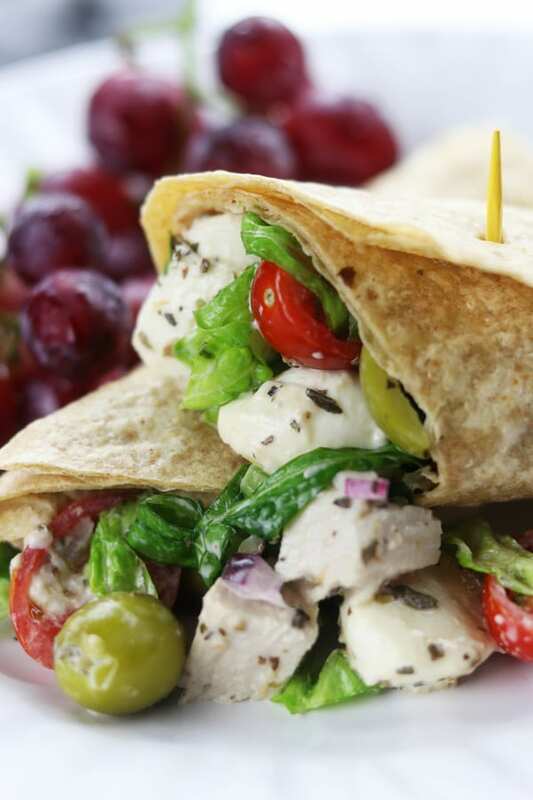 No more boring lunches! Yesterday was the start of daylight savings time and I have some pretty strong mixed emotions about it. Firstly, I really hate feeling like a zombie the next day because of lack of sleep and yet I really enjoy having an extra hour of daylight. Secondly, this means soon I will be melting with long hot summer days and yet spring days in Southern California are absolutely gorgeous. I think I also grieve the passing of winter. I know, I know, that sounds absolutely crazy. Here is the deal, living in San Diego we just don’t get that much rain, and rainy days are just so rejuvenating to me. I sleep better, everything feels so refreshed and the rain just flat out makes me happy. So while I am dealing with my grief over winter passing I am also preparing myself for what summer will bring. Light and refreshing meals like this chicken sandwich recipe will be absolutely necessary before we know it. How to cook chicken breasts. Place the chicken into a medium sized baking pan. Drizzle chicken with oil (I use either avocado or olive) and then salt and pepper. Bake for approximately 30-40 minutes or until internal temperature reaches 165℉. How to roast a jalapeño. Use a pair of tongs to hold the jalapeño over the smallest gas burner on your stove. Turn the heat up to the level you are most comfortable with but just note that the lower the flame the longer it will take to roast. Roast each side until the jalapeño skin starts to darken and pop. Generally this will take about 10 minutes. Once roasted let it cool for about 5 mins and then dice. Remove seeds to help keep spice level lower. For more tips on how to roast a jalapeño check out Creamy Roasted Jalapeño Pasta and Mexican Shrimp and Crab Cocktail. 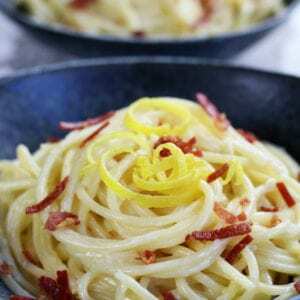 How to make this recipe into a low-carb meal. Too make this into a low-carb meal use a large tomato instead of bread. Make sure to core the tomato and then slice almost all the way through having the tomato almost look like an open flower. Place 1 or 2 scoops on top of the tomato and voilà, you have a low- carb lunch. 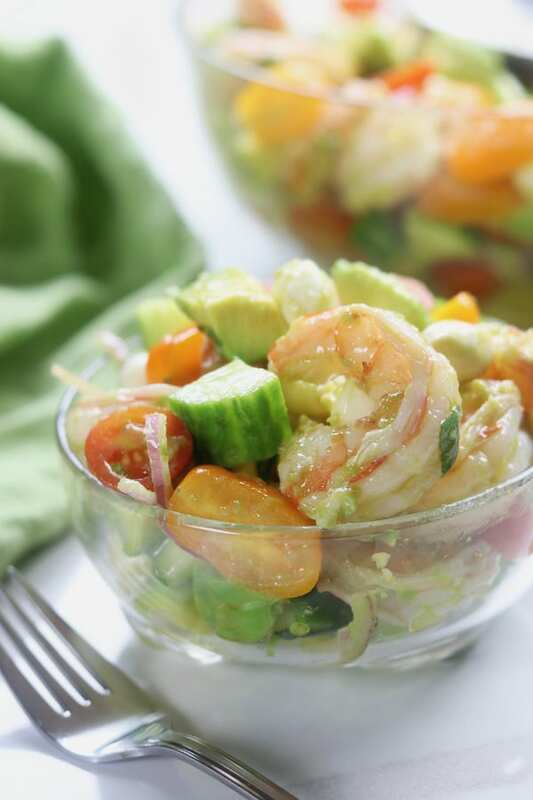 Check out Shrimp Avocado Salad and Lazy Day Chinese Chicken Salad for more low-carb feasts. You probably already figured out that this is essentially like a chicken guacamole sandwich and it may sound crazy but let me reassure you, it is so delicious. I used my extremely popular Simple Healthy Guacamole recipe as the base with a few tweaks. Before you can make awesome guacamole you need beautifully ripe avocados. Here are some tip for dealing with avocados. There are a few easy ways to tell. When ripe, avocados will give slightly when gently squeezed but you shouldn’t be able to make a finger indentation in them. Often the avocado skin will change from a brighter green color to a deeper green color when ripe. Lastly, did you know that the avocado stem holds the sneak peak for ripeness? If you try to remove the avocado stem and it is difficult the avocado is not ripe. If it is easy to remove and the flesh reveals a beautifully bright green color than chances are the avocado is perfectly ripe. When the flesh is a dark green color than the avocado is over ripe. Will Avocados make me fat? How do I keep the avocados from turning brown in this chicken sandwich? The lime juice will absolutely help but here is a trick. 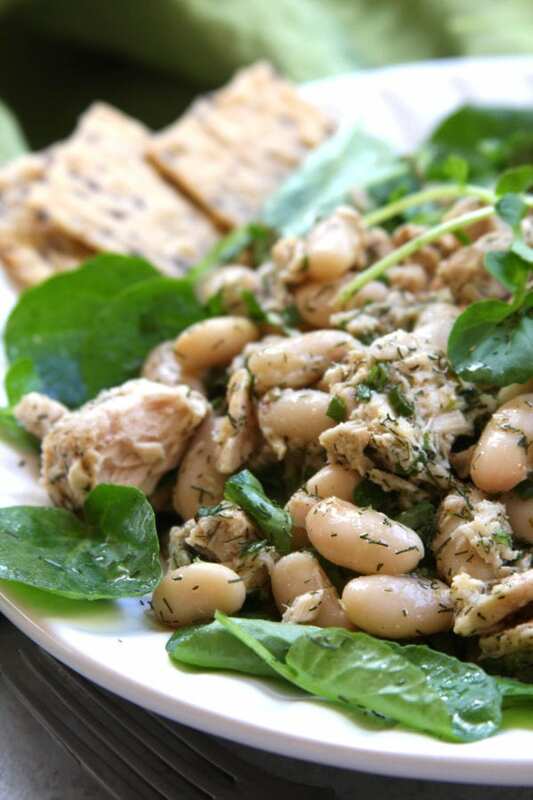 If you are making up the avocado chicken salad ahead of time before eating, mix all the ingredients together except the lime juice. Place the avocado mixture in an airtight container and smooth it out so it is flat in the container. Squeeze the lime juice over the top and do not mix it in until serving. Use 2 limes if it looks necessary. This will keep the avocado mixture a beautiful shade of green. 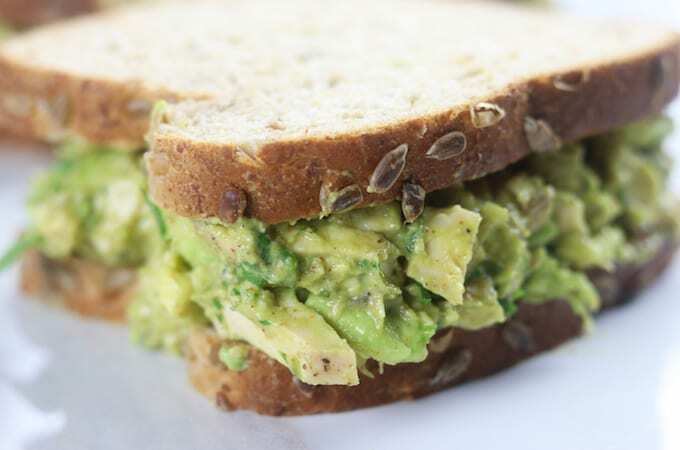 Let’s start making this Mexican Chicken Avocado Sandwich! 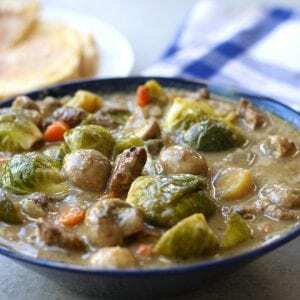 Place all ingredients except slices of bread in a medium sized bowl. Stir well and serve on your favorite sliced bread. Will last up to two days refrigerated in an air tight container. 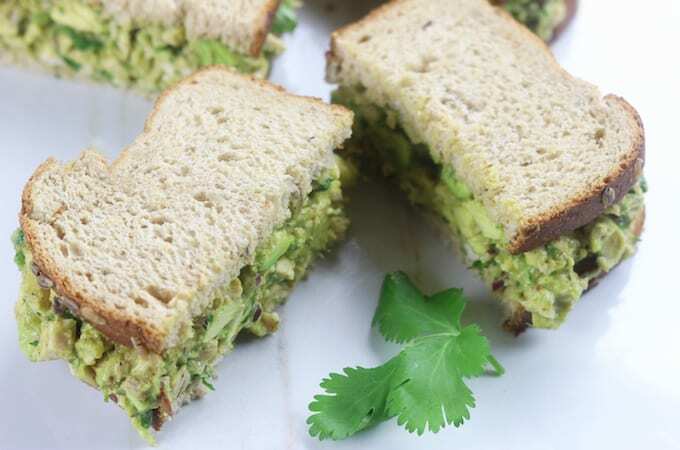 Why is this recipe labeled ‘Mexican chicken avocado sandwich”? Why use Mexican? Why not just Avocado Chicken Sandwich? I am confused why you ask. Why not title it Mexican Chicken Avocado Sandwich? I live in Southern California with a extremely large hispanic community that uses these main ingredients. My best friends are Mexican and are ok with it so it was titled in a very straight forward manner. Thank you for asking! Why shouldn’t it be called Mexican Avocado Sandwich. Maybe it was thought up the first time by a Mexican. They should get credit, where credit is due. You’ve heard of Hungarian Gulosh? I rest my case! And avocados originally came from Mexico….. Thank you Sherri! I appreciate of your support. I have an even better way for your avocado to NEVER and I mean NEVER turn brown, BETTER than all that lime juice. Use a small or medium tomatillo slice it in small pieces add just a little of the avocado or a little water to it in a blender and puree it until it is very pureed. 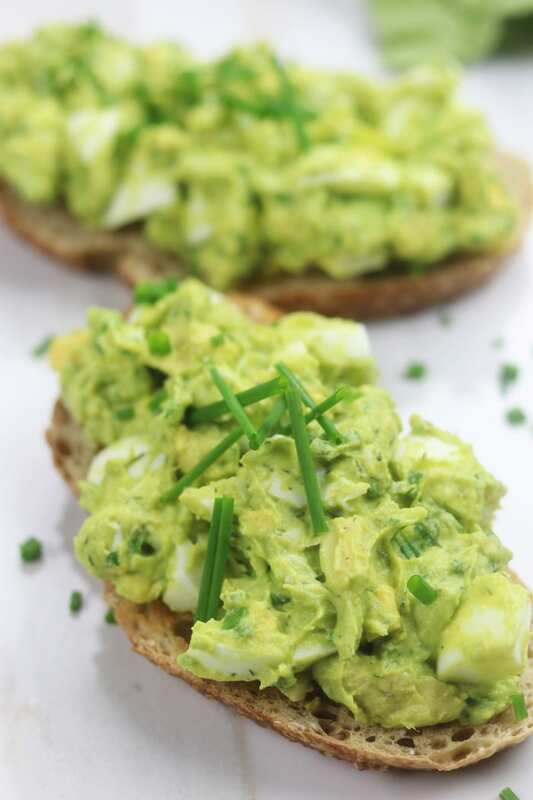 Stir it with the avocados separately or to the whole spread when mixing. Your avocados will NEVER NEVER NEVER TURN BROWN EVER! And you don’t taste the tomatillo either. Nancy that is such an awesome idea!!! I LOVE it! We actually really love tomatillos so even if there is a little flavor from the tomatillo, everyone would go crazy for it. Thank you sos much for sharing!!! My wife has a flaw proof way to never let avocados brown…Eat them all immediately..Doesn’t matter how many she has..Her blood test as 75% avocado!! Jeff this seriously made my day!!!! This had to be the best thing I have read in a really long time. Thank you for making me laugh! 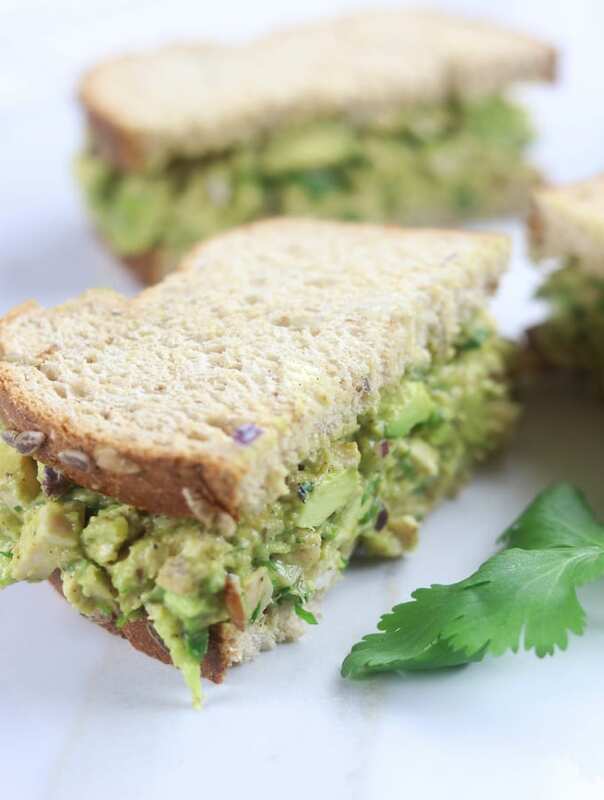 I love avocado chicken sandwiches and love your Mexican twist to them! Thank you Joanna! It so fun to eat too. I am so glad! Thank you for letting me know! ???? Thank you Toni! It is super fun to eat also. All the flavors in here are so incredible together, especially the jalapeño with the cilantro. I have some hearty wheat bread, I can’t wait to give this a try. Definitely my kind of sandwich! This recipe speaks to me! So much deliciousness here I can barely stand it. Perfect lunch to send to school with my son, who is a major avocado lover- thank you! First of all, just because it has jalapeño and cilantro doesn’t make this Mexican. Mexican “sandwiches” are made with Bolillo or Telera rolls and are called tortas not sandwiches. That said, it looks delicious! Hi Dora! Haven’t you heard? Dave’s organic bread is all the rage within all communities. That said, thank you for the compliment. Just tried the ‘Mexican Chicken Avacado Salad’ with the broiled tomatoes….Excellent recipe. I’m not a fan of brown avocados, so split the chicken mixture in half and added 1. large avacado. 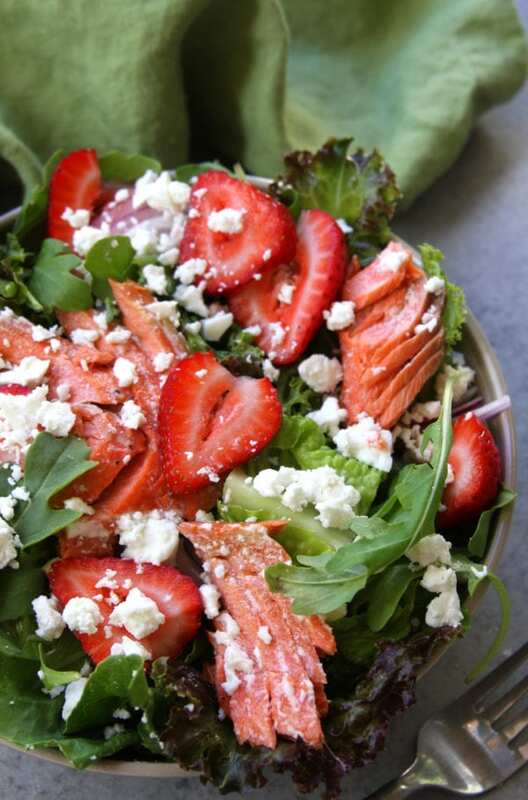 Can’t wait for tomorrow….add another fresh avacado and my dinner is set! Thank You. Ohhhh, broiled tomatoes sounds wonderful!! This makes me so happy you enjoyed this. Thank you Rita for taking the time to not only try this sandwich but also to come back and tell me.